What color exactly can express the inexhaustible contents of colors? White is the gorgeous combination of various colors, and black is the unlimited transformation of unpredictability. Therefore, 2018 Design Beijing will adopt the colors of black and white as the two main visual images, to express both collision and integration of different contents, different levels, different fields and different views through repeated expression of ink marks, for the purpose of innovatively interpreting in accordance with traditional freehand style. Such collision and integration are just like Design Beijing: despite rooting in Beijing, a city with long-established history and profound culture, it can create an excellent design platform to welcome designs from different countries, regions, and cultural backgrounds. Its inclusiveness and diversity have gathered excellent designers around the world here, to break barriers and restrictions in the process of mutual collision and communication. As hundreds of different shades of ink pile up on the white canvas, just like drops of ink dissolving into clear water, the Zen-state image perfectly coincides with the ideal realm of Design Beijing. Design originates from life and reinterprets life through new materials and diversified visual approaches, to constantly break the boundaries between design, art and life. 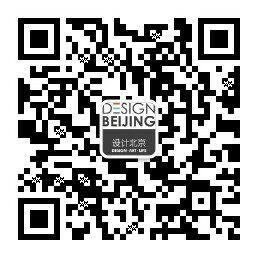 In capital Beijing, we will complete a “Design Interaction” that can accommodate all expressions. Here, the concept of design will also be redefined.